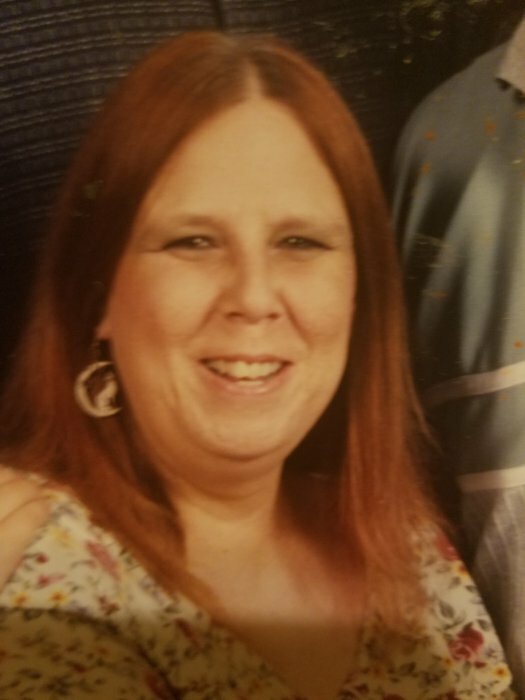 Debra A. Reno, 62, of Benld, IL, died at Anderson Hospital, Maryville, IL on Sunday, January 13, 2019 at 11:50 pm. She was born February 28, 1956, in Rolla, MO to James Stone & Lela (Teems) Stone. She married David Reno, Jr. on May 25, 1985 in Brighton, IL. She was a homemaker. Debra was an avid book reader and a wolf collector. She also loved her grandchildren. She is survived by her father, James Stone of Wood River, IL, spouse, David Reno Jr. of Benld, IL, children, Alyxia Reno of Benld, IL, Andrew Reno of Benld, IL, grandchildren, Marcus Reno of Benld, IL, Preslee Reno of Gillespie, IL, brother, James (Sheryl) Stone III of Jerseyville, IL, mother in law, Susan Reno of Bethalto, IL, brothers in law, Joseph (Lee Ann) Reno of Meadow Brook, IL, Christopher (Amy) Reno of St. Peters, MO and several nieces and nephews. Debra was preceded in death by her mother. Friends may call on Wednesday, January 16, 2019 at Kravanya Funeral Home in Benld from 4:00 pm until 6:00 pm. Memorial services will be held at 6 pm on Wednesday, January 16, 2019 at Kravanya Funeral Home, Benld, IL. Memorials are suggested to Benld Public Library or Benld Fire Department. Anyone wishing to send an online condolence may do so at www.kravanyafuneral.com. Kravanya Funeral Home, Benld, IL is in charge of the arrangements.